Thanks to everyone who participated in our recent survey! I thought it would be fun to share the results and answer some of your responses on improving the site. Overall, how well does FictionDB meet your needs? These results make us very happy. We appear to be heading in the right direction! In general, most of you find using the site pretty easy. Most of the comments we received on this reference the new site layout. Some people have been having trouble finding some of their most-used features. Almost every feature on the site can be found either in the footer or in the header under the Members dropdown. 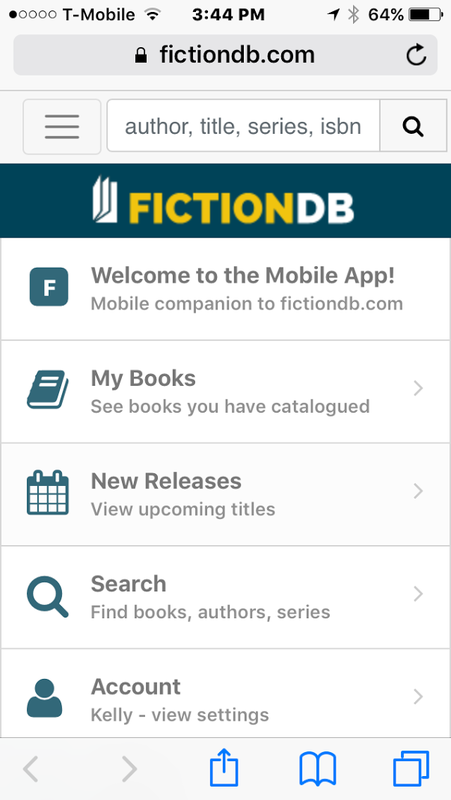 What is the most important reason you visit FictionDB? Not surprisingly, the biggest reason for using the site are the author and series lists. Everything else is in a tie for distant third place. Would you like the ability to share your lists with other visitors and view other’s lists? We have long considered adding certain "social" aspects to the site. This is the social feature most often requested through our help desk. While, the "Yes" answers are in the minority, this is a feature that we would like to add at some point in the future. Well, we're glad you like the look of the site. Another statistic that makes us really happy. SUMMARY: You told us we're doing everything really well, which is always great to hear. As most of you know, we use the site as visitors just as much as you do. If there is something that frustrates us or we want to see, we don't hesitate to add it ASAP. Most of you actually gave us some feedback in this question. Thank you for that! We take your feedback seriously. We can't answer every individual comment, but here are a few that fall into broad categories and our response. "Update author lists with new books." "More indie & self published information." "I find the website extremely helpful and the only recommendation that I can make is to continue to add authors to the database." Our response: FictionDB has grown so much over the last couple years that keeping it updated has become a Herculean task. We add at least 20,000 new titles a month. It is almost physically impossible to keep up with every author out there. That's why we rely on our editors. If you would like to add authors and titles that you see are missing, please apply to become an editor. Editors can add authors, titles, series, genres, synopses and much more. "Go back to the way it was! Preferred the old way vs the new." Our response: FictionDB has to change with the times and that means that the site will be redesigned on a regular basis. All of our editors were given the opportunity to help with the new design. If you'd like the chance to add input into the site's design, please become an editor. "have more lists for us to use to keep better track of our reading"
"more lists for use by me"
"make it so we have access to more lists in our accounts." Our response: FictionDB has used the 3 list system since its inception. Adding new lists would obviously be a very big change given the site's design. If we can come up with a way to do it without compromising the existing site design, we will do it. "I find the site difficult to use on a mobile device." "The iphone app could be a bit faster and retain last items looked up." "an Android app would be awesome"
"Would like to duplicate or match data to my iphone!!!" Our response: We are in the process of creating an App that will be shared across both the iPhone and Android platforms. It is a complete overhaul, not an update to our existing app, so it's taking a little longer than we would like, but we are working on it. 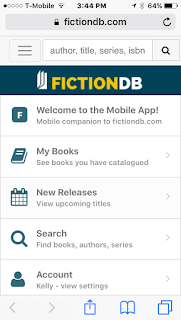 As for the FictionDB.com mobile site, we have done everything possible to accommodate a variety of devices with the same code, but obviously it's not going to work for everyone. "Allow users to add tags"
Our response: Tags can be added on any book detail page provided you are logged in to your account. "Books to be published in the next 6 months"
"I am not able to go directly to my favorite new book list." Our response: The Favorites by Author and Series is available in the Members dropdown that can be found at the top of every page. "Very difficult to just find my book lists." Our response: The My Books link is available in the Members dropdown that can be found at the top of every page. The My Books link can also be found at the bottom of every page. "Maybe be you can put a best sellers tab, broken down by genre." "Being able to get an e-mail alert when a new book in a series is about to release would be great.especially the multiauthor series." If you have a problem with the site and need some help, please use the help desk. Just open a ticket and we'll answer any questions you may have. The blog is not the place for getting questions answered. Most of the comments received here are SPAM and your question could get lost in the middle of it. Sounds like a science fiction plot, doesn't it? Unfortunately for us, it's been science fact for the last couple of days. You might have heard of Denial of Service attacks -- it's when a robot sends thousand of spiders at the same time to a website. Under normal circumstances, our infrastructure can handle spikes in traffic, but this was way out of the ordinary. So when will it end? Well, we don't know exactly, but we've done everything we can to minimize the site outages. Don't worry, the robots aren't interested in hacking into the site, they're just trying to be disruptive -- and they have succeeded! What this has also done is made us assess our current hardware. We'd like to think that this was a one-time deal, but it's probably not. This morning we purchased brand new, sparkly, super-fast hardware. It will take us a couple of days to get FictionDB up and running on the new hardware. You can expect some downtime later in the week when we move your personal lists to the new machine. We'll keep you posted on that as we go along. So, BAD for the short term and GOOD for the long term.